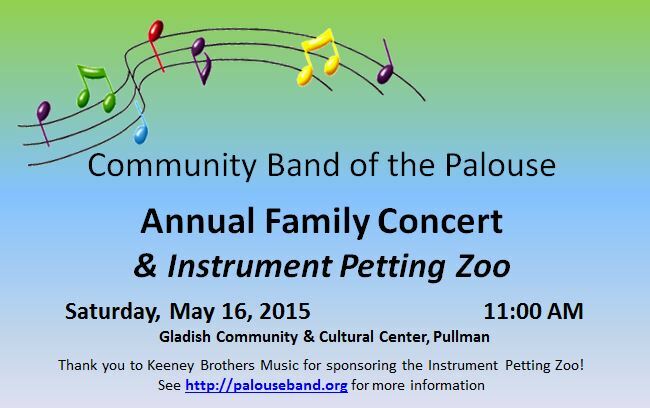 Featuring an Instrument Petting Zoo immediately after the concert. Thank you to Keeney Brother Music for sponsoring the “Zoo”. What is an Instrument Petting Zoo? Having just heard all the instruments of the band during the concert, attendees will have the opportunity to try to play them. Keeney Brothers Music will set up a variety of instruments and allow children to try out the instruments! As music experts, they will help youth to learn to make a sound on the instrument(s) of their choice. Participation can help your young ones to appreciate the instruments of the band and to give them experience to make an informed decision when it comes time to select an instrument to play in the school band. Note that all instruments are sterilized and that professional guidance will be available.